The word Holistic means to treat the body as a whole. Quiescence Wellbeing offers a range of treatments designed to treat the mind, body and soul, maintaining the body’s natural homeostasis needed for health. 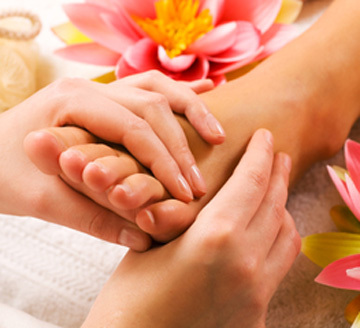 Thai Foot Massage is a traditional technique and is a unique massage of the lower legs and feet. It originated in Thailand over 2000 years ago. It produces a deep and unique feeling of balance, relaxation and well being involving hands on stretching, massage, use of a stick to stimulate reflex points and follows the Thai energy Lines. 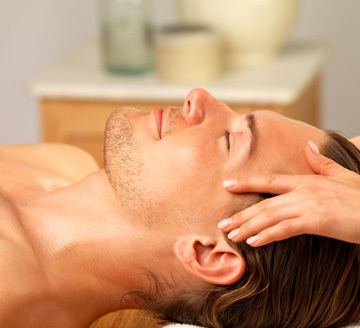 Based on old Ayurvedic techniques involving massage and acupressure on the upper back and arms, shoulders, neck, scalp and face to release tension, stress and fatigue. Excellent for releasing tension from driving, sitting at a computer, or from the challenges of life! The use of Hopi Ear Candles for a calming and relaxing treatment. Can help to release pressure in the ears, sinusitis, headaches/migraines and swimmer’s ear. The treatment includes a facial massage using pressure points and sinus drainage. I studied Crystal Healing for two years and with their help I work with the energy of your body to induce the natural healing processes for your mind, soul and body. Chris Paul offers interactive tarot card readings for those in the Hungerford and Marlborough area. These readings can help you work through difficult decisions, dilemmas or simply to aid reflection on your life. These readings differ from ordinary tarot readings as they are interactive, using the archetypal images on the cards to stimulate thought and reflection. Everything discussed during a reading is confidential. You can book one by contacting Quiescence, or contacting him directly on 07515 759 587. £39 for a consultation, which normally lasts 45 minutes.